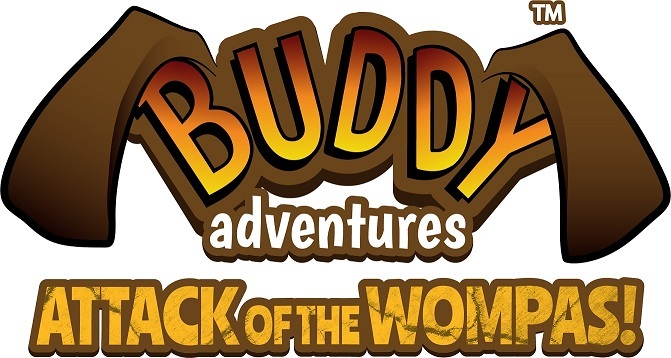 Press Preview – Buddy Adventures: ATTACK of the WOMPAS! 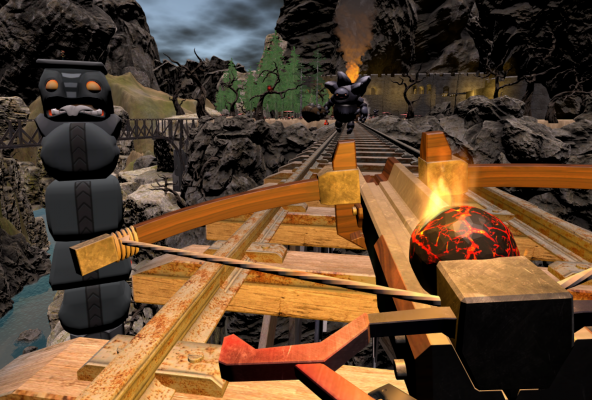 I was recently honored with an invitation to preview Rocket Virtual Entertainment’s upcoming VR game, Buddy Adventures: ATTACK of the WOMPAS! It’s a family-friendly, interactive adventure for ages 8 and up. Players partner with Buddy, a humanoid dog with a knack for getting in trouble. He loves adventure but his constant desire to explore and have fun sometimes gets the better of him. Such is the case when he gets dog-napped by Wompas; rock creatures who want to make Buddy the Wompa King’s pet. Game play in Buddy Adventures was pretty straightforward. 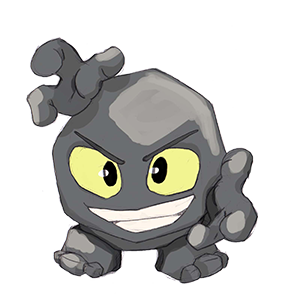 Exactly what one would expect in an adventure game for children. I wielded a comically large weapon that was easy to aim and had huge, slow-moving targets to shoot at. And while I did not get to experience many of them, there are additional weapons, gadgets and power-ups to collect too. Immersion is a big part of the VR experience and I believe Rocket got it right. I truly felt like a character IN a game; not simply controlling one. With crossbow in-hand, I would fend off wave after wave of Wompas, physically dodging their attacks and restocking on ammo when needed. I even got a bow later and had to simulate notching an arrow and drawing it back to fire. Combat wasn’t as fluid as I would have liked though. This was likely due to the early build I was playing, but also because of how I had to move. Instead of physically walking around I had to continuously highlight where I wanted to go and blink there. While not a big issue, teleporting from place-to-place did slow down combat a bit for me. Despite the motion controls, seeing a swarm of Knucklehead Wompas throwing their heads at you defintely gets the blood pumping. 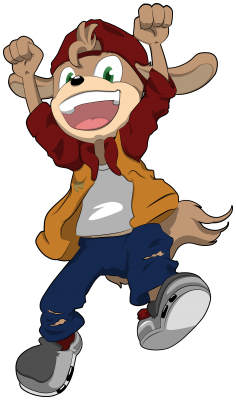 As a parent, I can TOTALLY see Buddy Adventures being a game series that introduces little gamers to virtual reality for years to come. The premise is easily understandable, it’s light hearted and designed with children in mind. The biggest credit to that point is that the Wompas never actually die. 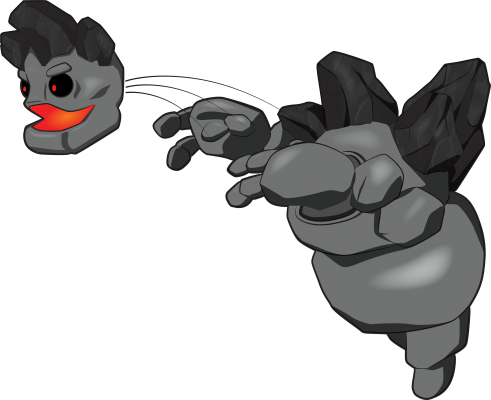 After taking out a Wompa they simply crumble and reform later. It’s a small detail, but an important one to parents who don’t want their children even pretending to kill things. On behalf of TVGB, I’d like to thank Rocket for allowing me to experience such an amazing game. I can’t wait to go on my next adventure with Buddy! 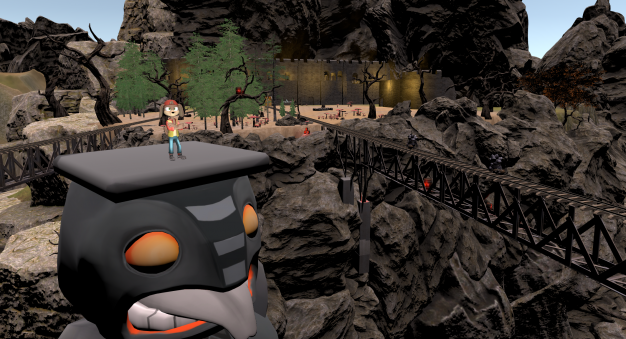 You can go on your own adventure later this month when Buddy Adventures: ATTACK of the WOMPAS releases for the HTC Vive, Oculus Rift and Windows Mixed Reality. It’s also coming out as a VR arcade game! I can totally see it. Check out this awesome VR locator to find an arcade near you!